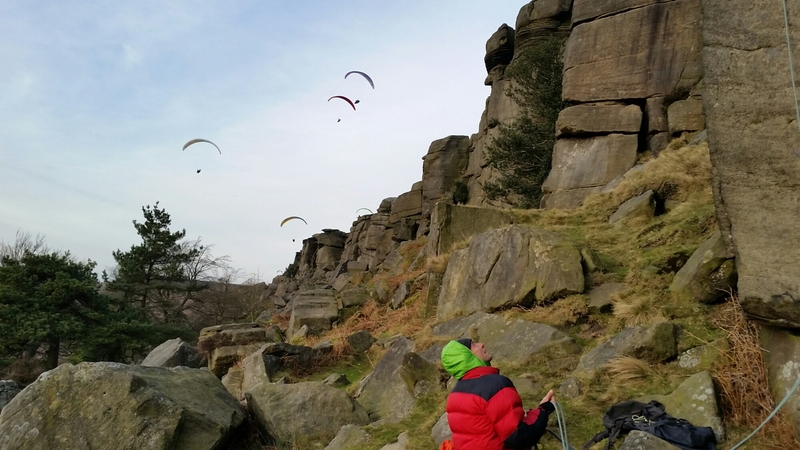 A sunny forecast and a break in festive get togethers coincided, so Jake and I made a dash for a quick fix at Stanage. 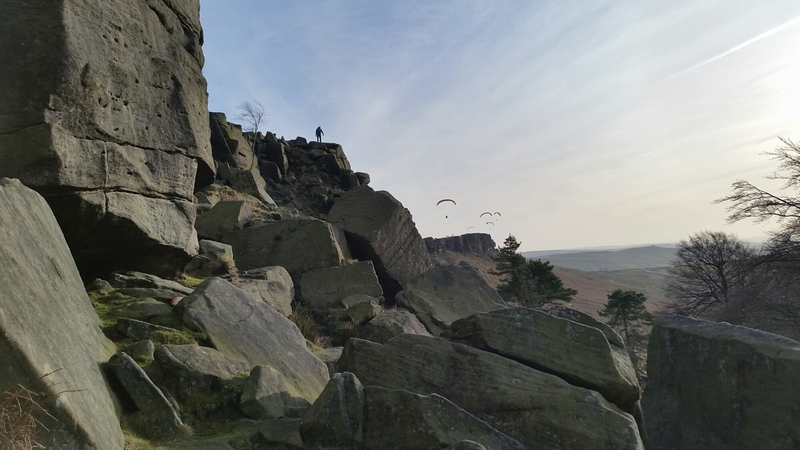 Lots of parapenters, boulderers and walkers, plus a few brave souls with ropes. 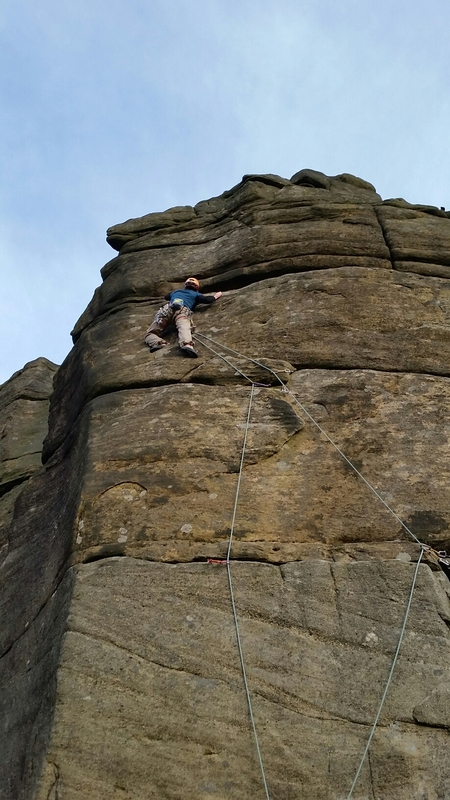 After a “warm up” on Pot Black, Jake decided to throw himself at Calvery – an E4 with a bit of a reputation. He made very smooth work of it, just pausing briefly to re-tie his shoelaces beneath the cruz. 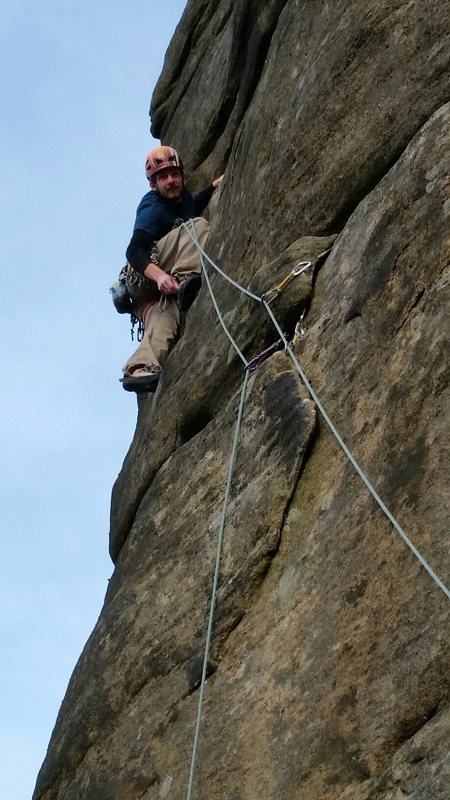 Whilst dad belayed anxiously wrapped up in a lot of down!